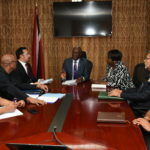 Dr. the Honourable Keith Rowley, Prime Minister of the Republic of Trinidad and Tobago, met today (Monday 13th February) with Ancel Roget, President General of the Oilfields Workers’ Trade Union (OWTU) and other executive members of the OWTU (Carlton Gibson – Executive 1 st Vice President, Rickey Benny – Executive Vice President, Himraj Basdeo –Executive Trustee, Richard Lee – General Secretary and David Abdulah) to discuss matters relating to Petrotrin. The Minister in the Office of the Prime Minister – the Honourable Stuart Young and the Minister of Planning and Sustainable Development – the Honourable Camille Robinson-Regis, were also present at the meeting, which took place at the Office of the Prime Minister, St Clair. Recently, the OWTU served a strike action notice to State-owned Petrotrin in response to a breakdown in wage and salary negotiations for the period 2014-2017/2018. The strike was averted following extended conciliation talks at the Ministry of Labour and Small Enterprise Development. After prolonged discussions between the company and the OWTU, parties agreed to a payment of 5% and conciliation would continue at the Industrial Court. 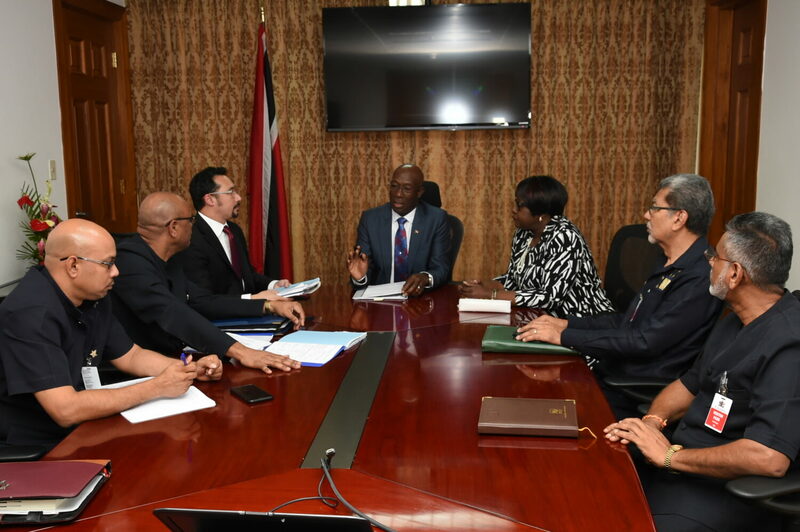 The Government will be putting together a seven (7) man team to review and examine Petrotrin’s operations, which will report to Cabinet with respect to the restructuring of Petrotrin. The Union will nominate two (2) members to this team and it is expected that this team will report to the Cabinet within three (3) months.